UNITED STATES - U.S. Sc 859 - 893 - COMPLETE FAMOUS AMERICANS SET - LOOK! U.S. - UNITED STATES - 1964 - 1967 FDC FIRST DAY COVERS (10) COLLECTION - LOOK! 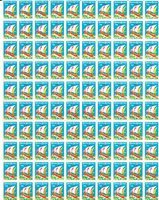 CHRISTMAS SEALS -1928 - FULL MNH SHEET of 100 - FAULT FREE - LOOK! U.S. FIRST DAY COVERS COLLECTION- ROGERS SMITH ANNAPOLIS CANAL ZONE etc.- LOOK! U.S. - UNITED STATES - 1970's FIRST DAY COVERS COLLECTION - LOOK! 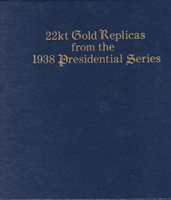 U.S. 22kt GOLD REPLICAS - 1938 PRESIDENTIAL SERIES - Sc 803 - 831 MNH - LOOK! U.S. FIRST DAY COVERS Sc 909 - 921 + MNH COUNTRY NAME BLOCK of NINE - LOOK! U.S. - UNITED STATES - 1969 FIRST DAY COVERS (10) COLLECTION - LOOK! U.S. - UNITED STATES - FIRST DAY COVERS - ELLINGTON PORTERPARKER etc. - LOOK! U.S. - UNITED STATES - WASHINGTON D. C. CINDERELLAS BLOCKS of FOUR - LOOK! U . S . UNITED STATES - CANAL ZONE - SCOTT 138 ROOSEVELT FIRST DAY COVER - LOOK! Comoro Islands MNH Souvenir sheet Queen Elizabeth II - 25th Anniversary- LOOK! AMERICAN LETTER MAIL COMPLETE SET REPRINTS - LOOK! HAWAII - VALUABLE COLLECTION - LOOK! OLD FOREIGN COVERS COLLECTION - FRANCE, GREAT BRITAIN, VIET NAM, CANADA - LOOK!